It&apos;s fashionable today to hear educational policymakers say something like this: "I&apos;m not opposed to standardized testing. I&apos;m just opposed to the way in which standardized tests are being used." That pronouncement is typically followed with a litany of grousing about standardized tests. At a "Save Our Schools March" held in July in Washington, D.C., the National Education Association, American Federation of Teachers, a bevy of educational heavyweights and even one Hollywood star lambasted the No Child Left Behind law, focusing largely on its testing requirements. Here are four gripes surrounding tests, and refutations of them. 1. "Frequent testing forces teachers to teach to the test." 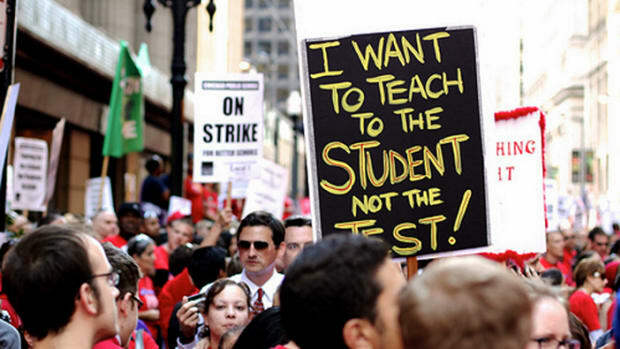 That&apos;s right — and teachers should be teaching to the test. Students are in class to learn. Presumably they should know certain discrete things when they finish a class lesson, an academic year and eventually graduate. The best way to facilitate that is for students and teachers to have clear expectations, goals and measurements. The best way to check whether students are meeting the goals is to test them. It&apos;s convenient to think students will learn without being "pushed" by tests, but that&apos;s also wrong. Most of us get things done when we know we have to get things done. Tests are both a means of prodding us to work and a way to check how well we have done our work. The corollary to the teaching-to-the-test gripe is the idea that teaching students to take tests only teaches them to become good test-takers. But tests are content-specific. Obviously, when students take a geometry test, they are being tested on very different material than when they are taking a chemistry test or a U.S. history exam. Teachers may also be teaching students test-taking strategies, like eliminating wrong choices on a multiple choice test, but the bulk of their instruction is geared to the content students will be expected to know for a particular test. 2. "Portfolios should replace standardized objective tests." Portfolio advocates generally suggest that standardized tests are too narrow, that they don&apos;t allow students to creatively express themselves and force teachers to make incomplete judgments. But a good standardized test examines a variety of levels of students&apos; knowledge. A well-constructed test will not only measure a student&apos;s retention of facts but test students&apos; ability to apply what they have learned to novel problems and to make connections and inferences. A test that incorporates a taxonomy of higher levels of thinking will force students to analyze, evaluate and synthesize information. For a good discussion and research support regarding the design and use of tests to measure different cognitive levels, see the University of Cape Town&apos;s handbook. Portfolios may be fine to supplement basic test measures. Allowing subjective judgments about portfolios to drive assessments, however, assures that our measurements will be chaotic and leave us guessing as to what students do and do not know. A good jumping-off place describing the limitations of portfolio assessment — and particularly problems of reliability and validity — is this 2007 study from the free market-oriented Lexington Institute. 3. "Testing fosters cheating." A series of recent cheating incidents regarding standardized tests in Atlanta and other cities has led some reformers to call for an end to, or a serious curtailment of, testing. The gist of this gripe is that the inevitable result of a testing system, which produces winners and losers, is that some people will cheat. That may be so, but it isn&apos;t the test that is the culprit. Blame the cheating teachers. Blame lax administrators. Blame families that refuse to demand that children do their homework. Or blame people who refuse to invest adequately in public education. Better yet, let&apos;s recognize that if we adequately prepare our students, many more of them can succeed on criterion-based tests. 4. "High-stakes testing unfairly punishes competent teachers who may be working with below-average students." That can be remedied by tying teacher evaluations to value-added assessments of teachers (something the big Los Angeles Unified School District has begun). But, it&apos;s important to understand that the gripe about high-stakes tests really is not about students. The common complaints about with these tests concern teacher job security and pay. Teachers are particularly scared that, like people in every other job, they will be evaluated. 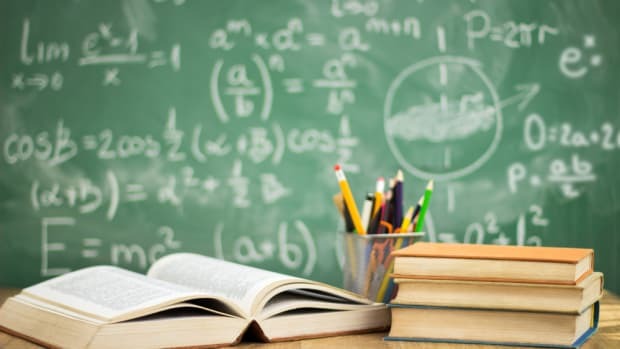 As it stands now, after a teacher becomes tenured — normally after two or three years — the teacher has lifetime classroom security, barring serious foul-ups. Teachers are no longer evaluated and their pay is not dependent upon how well they do their job. In most states, teacher security means he or she gets periodic pay raises based upon years-of-service and professional credentials. The actual product for which a teacher is responsible -student learning - is irrelevant. High-stakes testing changes that, tying student test performance, in most cases, to teacher salaries. Whether or not that is a good thing, it&apos;s important to separate a teacher&apos;s stake in a student&apos;s success from the student&apos;s stake in succeeding on an individual test, such as a high school exit exam. Before this discussion is even aired, it&apos;s critical to acknowledge that a teacher&apos;s stake in matters of salary really has nothing to do with whether we should be testing students and how best to do it. It&apos;s folly for educators to continue to insist that what&apos;s wrong with America&apos;s K-12 education system is the standardized testing system. Claiming testing measures are the problem is a little like suggesting the scale is broken because we got too fat.